As summer break is getting nearer and nearer, families get busier and busier with vacations, trips to the beach and sports. Sometimes, eating healthy goes to bottom of the list of things to do and diets and health suffer! But this summer, grab SunRidge Farms snacks on-the-go and eat healthy wherever you are and whatever you are doing! 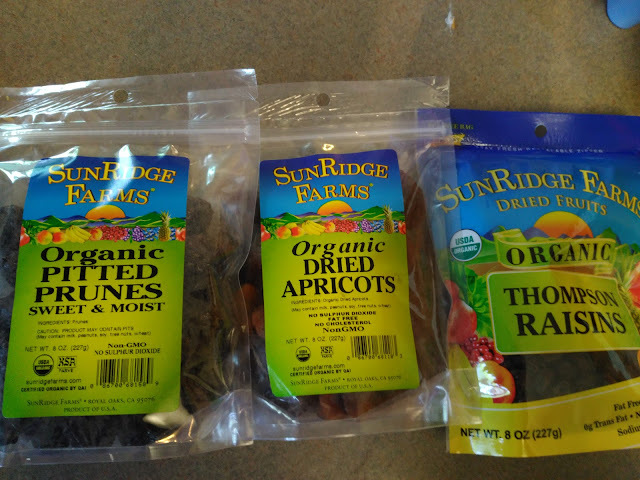 These Organic Ashlock Pitted Prunes, Organic Dried Apricots, Organic Thompson Raisins are so great for sticking in my bag, my child's sports bag or even my suitcase for great healthy snack ideas for vacation! They are sweet, juicy and organic which makes them the perfect snack for every member of the family! 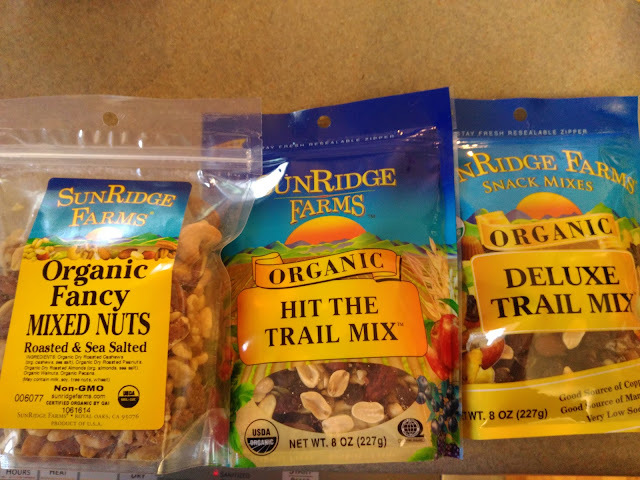 And for a protein boost on-the-go, check out some of my favorite nut mixes from SunRidge Farms! They give the right mix of salty and sweet while keeping you feeling full until your next meal! The Organic Fancy Mixed Nuts - Roasted and Sea Salted, Organic Hit The Trail Mix, and the Organic Deluxe Trail Mix are perfect for in between sports games, on a long car ride or when you have been running around all day and didn't have time for a decent meal! They are definitely my go-to snack during the day! So this summer break, don't sacrifice health or a healthy diet during the busyness of summer! Just grab Sunridge Farms snacks and dried fruits wherever and whatever you are doing and never go hungry or get stuck in a slump! 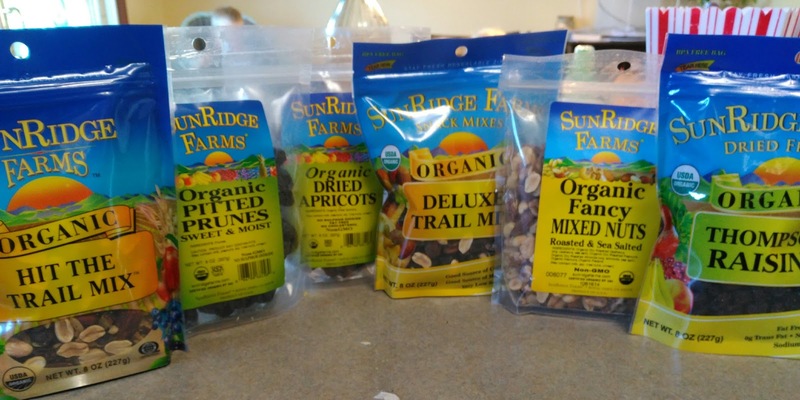 You can purchase SunRidge Farms products online from their website.